Labour denounced George Osborne's budget cuts as "extreme". But, asked by the Today programme what he would reverse from Osborne's Budget yesterday, British Labour Shadow Chancellor, Ed Balls, replied that there was nothing. I've never been entirely comfortable with the "Red Tories" tag now commonly applied to British Labour. Resorting to saying "they're all the same" is generally to be avoided as being simplistic to the point of intellectual indolence. What cannot be denied, however, is that the British parties offer no meaningful choice to voters. In terms of outcomes, it makes no difference whatever whether we end up with a Tory government or a Labour government committed to precisely the same austerity fetishism. Whatever may differentiate the partners in the "Great British Duopoly", the distinction is superficial, almost entirely cosmetic and, for all practical purposes, meaningless. And this will not change, other than to get worse. As both parties continue to chase the votes of the same relatively small group of electors within a system which effectively excludes the majority, policy convergence is inevitable. The message from both will be the same. Only the language will be changed to protect the illusion of democracy. So! What can be done to avert this? Faced with the threat to their cosy arrangements posed by the SNP, all the British parties have been remarkably explicit about their willingness to subordinate democratic legitimacy to the imperative of preserving the status and privilege which is their reward for loyal service to the ruling elites of the British state. By their response to this threat, the British parties tell us in the plainest manner imaginable exactly what we must do if we wish to save our democracy. We must do precisely that thing which they are most afraid we will do. We must do what they tell us we mustn't. We must defy them. We must vote SNP on 7 May. We must do so as a matter of great urgency. The British establishment has identified a threat to the structures of power which define the British state. It will act to neutralise that threat. It will not be constrained in its actions by Labour denounced the proposals as "extreme". If you think the vicious anti-SNP and anti-Scottish onslaught that we are seeing at the moment is a sign of the British state flexing its power, think again! It is actually a sign of its powerlessness. It is a frenzied reaction to a situation which the British state cannot control. You can be sure that it will not allow itself to be found in this situation again. 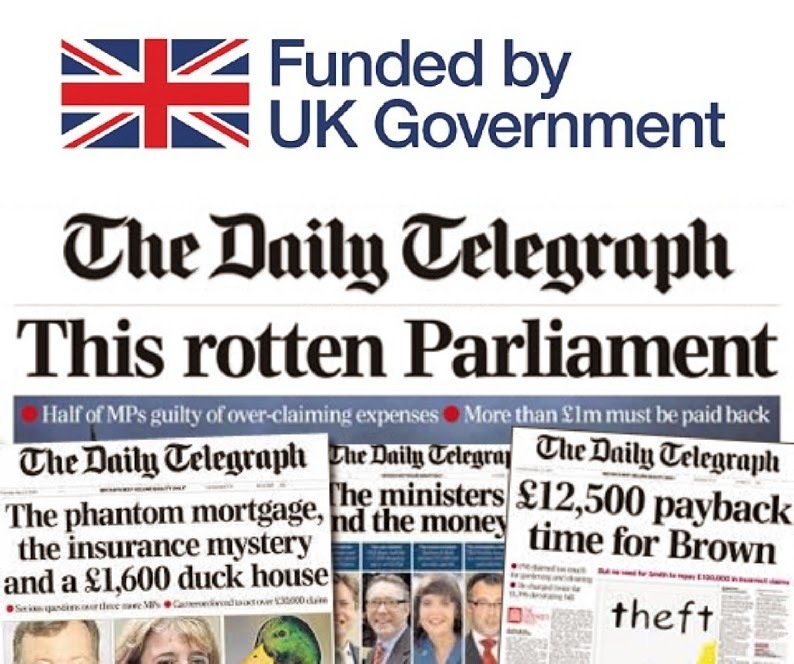 The British establishment has been caught unawares. It was not prepared for the tide of democratic dissent that has risen in Scotland. It was never anticipated that a party from outside the Westminster elite could secure significant influence within a system designed to ensure the dominance of the establishment parties. The SNP, as agents of the people of Scotland, has found a chink in the armour. If we do not exploit that weakness now, we may never get another chance. Failure to seize this opportunity will leave the ruling elites of the British state even more firmly entrenched. 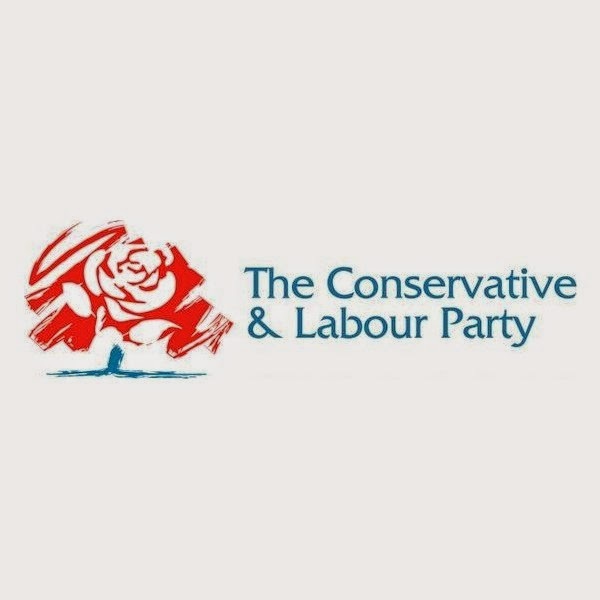 If the concept of Red Tories/Blue Tories is to be useful let it be as a reminder that, for the people of Scotland at least, this election is not about a choice between "traditional" parties. It is about a choice between our democracy and an undifferentiated Westminster elite which sees democracy as a threat. Let's be clear. Allan Massie is a British nationalist. * Not quite in the spittle-flecked, purple-faced, ranting style of Alan Cochrane. (Although he appears to be competing with Poor Old Cockers in this diatribe.) But a British nationalist nonetheless. As such, he portrays the SNP, not as they are, but as British nationalists would like them to be seen by the public. The same applies to Scotland's politics and what we might term the "mood of the nation". Either Mr Massie is so completely detached from the political scene in Scotland that it is invisible to him, or he is deliberately trying to mislead when he describes that mood as "ugly". In fact, the mood is very upbeat and hopeful. One might almost say exited at the prospect of putting a democratic dent in the the armour of a British state that has hitherto been deaf to the voice of the people and impervious to meaningful reform. There is ugliness,of course. But it comes, not from the ranks of the SNP and other progressive parties in Scotland, but from the relatively small band of British nationalist fanatics engaged in an increasingly shrill and vitriolic campaign in defence of the ruling elites of the British state. Massie also claims that the SNP is still fighting the referendum. Again, he is either tragically ill-informed or dishonest. Certainly, independence remains the long-term goal. But the SNP is fighting this election on a policy platform that is progressive and so clear that even a blinkered British nationalist such as Alan Massie can't avoid acknowledging at least some of it. While these sort of policies are evidently anathema to right-wing ideologues like Allan Massie, to most people they appear no more than the kind of considered alternatives to the stultifying orthodoxies of the British state which, in a properly functioning democracy, would be on offer from any party seeking to oust the Tories. Massie opines that Middle England would be "furious" if the British political system fails to ensure that hegemonic two-party duopoly is maintained. His view is that, if any party other than those which are approved by the British establishment gains political power while playing by the British state's own rules, then those rules must be ignored. His reasoning is that the rules must be ignored so as to avoid a turmoil of public outrage that he himself is doing his level best to whip up. Not because the SNP has broken any rules, but precisely because they are working within those rules. their hate-mongering. Compare the language deployed by the British nationalist propaganda machine with the reasoned rhetoric of Nicola Sturgeon and other Scottish progressives such as Patrick Harvie. There may well be a whirlwind to reap from the seeds of anti-Scottish animus that they are sowing. Massie is mightily concerned about a backlash in England to any SNP involvement in the government of the UK. His British nationalist bigotry prevents him giving so much as a moment's thought to the reaction of the people of Scotland if their democratically elected representatives are excluded in a storm of spitting, contemptuous vilification such as Massie gives us a glimpse of in his latest piece for the Daily Mail. 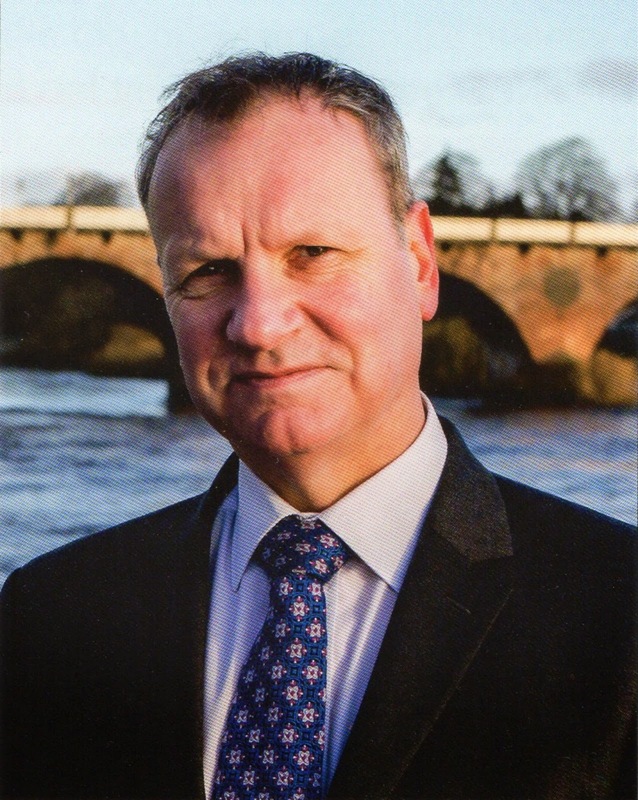 As someone close to the SNP campaign in Perth and North Perthshire, I can assure the spokesperson for the reborn Better Together group quoted in The Telegraph* that Pete Wishart is highly unlikely to be unhappy about further very public evidence of the British parties in Scotland ganging up in an effort to defend the Westminster elite and deny Scotland the strong voice in the UK Parliament that is supposed to be our right within the Union. 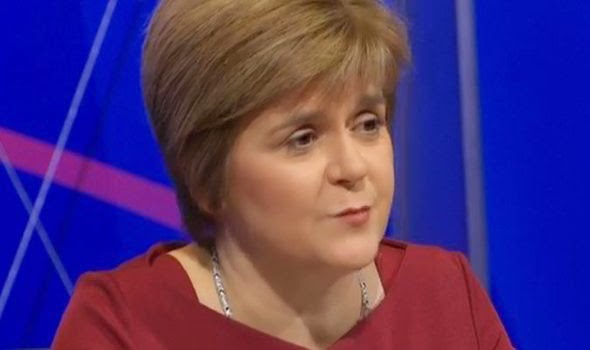 Most people in Scotland are perplexed and offended by the British establishment's portrayal of the SNP as some kind of dangerously extreme political force. This is, after all, their democratically elected party of government. It is, by a long way, the largest party in Scotland in terms of membership. And, according to polls, it is even after nearly two terms in office, by far the most popular party with by far the most trusted politicians. This is not "controversial". This is mainstream. The problem that British nationalists have is that the SNP is mainstream in a distinctly Scottish context rather than the comfortably familiar context of British politics, with the faux rivalries of its two-party hegemony that is barely distinguishable from a one-party state. Anywhere else in Europe, the SNP would be regarded as a perfectly ordinary left-of-centre social democratic party. Traditional Labour voters in Scotland are perfectly at ease voting for the SNP. As are many refugees from the doomed Liberal Democrats and even a few thoughtful Tories impressed by the party's effectiveness as an administration. Even the policy of restoring Scotland's rightful constitutional status is not at all outlandish. Independence is normal. Independence is the default status of all nations. It is the anachronistic, dysfunctional asymmetric political union in which we find ourselves that is anomalous. So, people in Perth & North Perthshire and across Scotland will inevitable ask themselves whose interests are being served by the British parties' coming together in an effort to pervert the democratic process. They will wonder who benefits from an orchestrated campaign to defeat the party which they are firmly persuaded best represents the needs, priorities and aspirations of Scotland's people. The more people see of the British parties standing shoulder to shoulder on the streets of Scotland in defence of Westminster's power and the old order, the more they will be persuaded that their best hope lies in electing as many SNP MPs as possible. I'm confident that, with the help of the little gobbet of unionist fervour that has congealed in Perth, Pete Wishart will be among them. "UK Labour's official policy is to maintain the continuous at sea deterrent albeit at the cheapest price; Scottish Labour's policy is to scrap Trident. Jim Murphy, the party leader in Scotland and a former Shadow Defence Secretary, supports keeping Britain's nuclear deterrent, stressing that he is a multilateralist." This one paragraph nicely illustrates the muddled mess of incoherence and inconsistency that is British Labour in Scotland. It's all in there. From the dishonest pretence that "Scottish Labour" is a real party with distinct policies, to the self serving vacuousness of Murphy's multilateralism. Many will be wondering when it became "Scottish Labour" policy to scrap Trident. It's a certainty that Johann Lamont never enunciated such a policy. Her bosses in London prohibited her from speaking on the subject. (Which may actually have been a very sensible thing to do given the way she embarrassed herself and British Labour in Scotland every time she opened her mouth on any topic.) And this policy is clearly not espoused by Jim Murphy, the man who claims to be the ultimate arbiter of all "Scottish Labour" policy. Others will wonder how "Scottish Labour " policy can be distinct from UK Labour policy when they are one party, with the former being a mere "accounting unit" of the latter. What we have here is one party pretending to be two parties with at least three different policies. And, as if that wasn't enough of a guddle, it now seems that the vast majority of British Labour in Scotland candidates in the coming election agree with neither their masters in London nor their local office manager. And what about those three different policies? Do they make any more sense than the tangled web just described? UK Labour policy is that obscene weapons of mass destruction are a wizard wheeze so long as it can be done on the cheap. The pretendy wee Scottish party's pretendy wee policy, insofar as it can have a policy and that this can be ascertained, is to scrap Trident. But even if this really is the pretendy wee party's pretendy wee policy, it is immediately overruled by the real British Labour Party. Then there's Mad Murphy's "multilateralist" stance. This is no more than a cowardly, mealy-mouthed evasion which says that, if we can't get rid of all nuclear weapons everywhere, then we shouldn't even try to get rid of any nuclear weapons anywhere. Vote Labour get vacuousness wrapped in confusion wrapped in misrepresentation - all bound up in a union flag. The economics of austerity have been pretty exhaustively examined and discussed. Countless commentators and almost as many academics have looked at questions of what fiscal austerity is, how it works, how it fails, and the impact it has on various groups in society. I don't intend to go over old ground here. What interests me is not so much the mechanics of austerity - although these can hardly be ignored - but the idea of austerity. Austerity as a concept rather than as something concrete. I am interested in what austerity means to different people and groups. How they regard it. The associations that the term holds for them and the connotations it implies. I want to look at how people perceive austerity. And how they choose to portray it. Clearly, austerity means different things to different people. When British Chancellor of the Exchequer, George Osborne and, say, Robin McAlpine of The Jimmy Reid Foundation talk about austerity they may well both be talking about the very same economic measures, but the word itself means quite different things to each of them. A situation further complicated by the fact that each will also seek to present austerity in a way that serves their political agenda, regardless of how they actually regard it themselves - supposing there is any difference between the two. Mark Blyth, Eastman Professor of Political Economy at the Watson Institute for International Studies at Brown University, presented a useful perspective in a short video presentation that he made back in 2010 (Mark Blyth on Austerity - YouTube). In an attack on the economic folly of austerity which is both concise and scathing, Professor Blyth refers to the fallacy of composition which arises when it is inferred from the fact that something is true in a particular context that it is true in a more general sense. Thus, the "common sense virtue" of balancing the household budget by way of a bit of belt-tightening at home becomes the economic nonsense of imposing austerity across the functional economy. What makes sense when a few people do it becomes madness when everybody tries to do it at the same time, for the rather obvious reason that suppressing essential economic activity denies everybody the income they require in order to pay down debt and "clean the balance sheet". The appeal of austerity, and its power as an implement of social engineering, lies in this simplistic notion of a "common sense virtue". And this appeal can be taken beyond mere common sense with rhetoric which references such ideas as noble sacrifice, cleansing. renewal. and a supremely dubious appeal to mutualism. In all of this one recognises both an ominous contamination of politics with the language of fundamentalist religion and a rehashing of Thatcherite rhetoric about "broken Britain" and the necessity for drastic measures to combat a common foe. Then, it was the unions which were declared to be "the enemy". Now it is "benefit scroungers" and anybody who espouses progressive politics and aspires to social justice. Extreme fiscal rigour is presented as a wholly pragmatic, scientifically sound, and self-evidently sensible approach to a "problem" which is defined by the proponents of austerity in such a way as to very conveniently fit their preferred solution. But let there be no mistake! The austerity agenda is driven by ideological fervour and not economic prudence. The benign-sounding language of domestic thrift is a flimsy deceit intended to disguise a project to transform our society in ways that are unequivocally detrimental to the many, and dangerously close to irreversible. Our purpose in the coming election is to defeat this project. Those who think about such things more deeply rather than simply accepting the gloss put on them by spin-quacks will at least wonder why it has suddenly become essential to know how every single infrastructure project is funded. It will occur to many that they never needed to know this before, and that the UK Government was at no pains at all to inform them. Some might even wonder whether it is entirely coincidental that this wizard wheeze has been cobbled together at the very time when the British establishment senses that the settled order of the UK is under threat from political forces which cannot be relied upon to offer unthinking respect for the structures of power and privilege which define the British state. 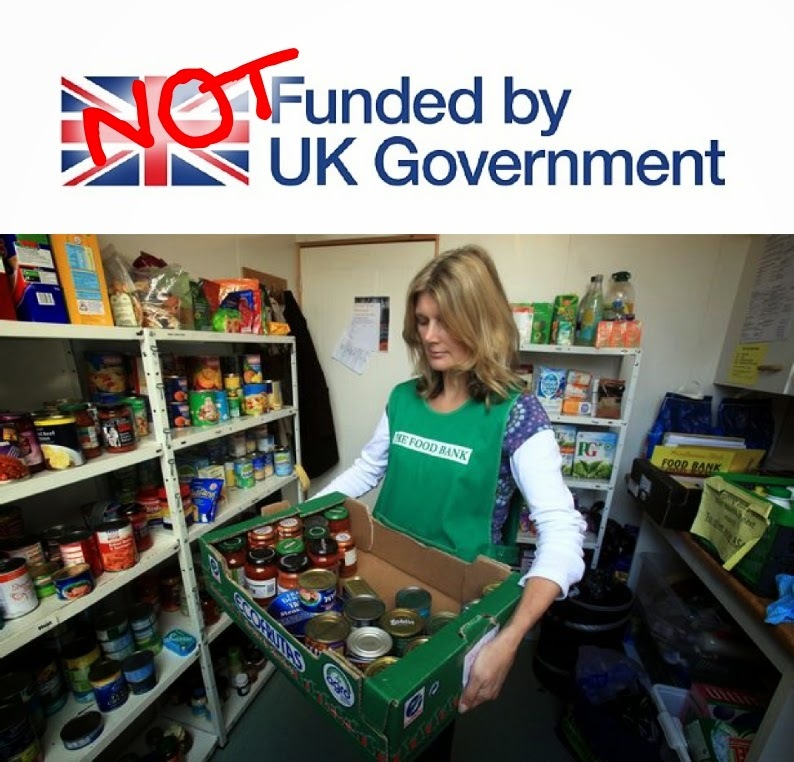 Advocates of the restoration of Scotland's rightful constitutional status have responded with characteristic wry humour, plastering social media with messages highlighting some of the things that Desperate Danny Alexander might be somewhat less keen to remind voters were/are "Funded by UK Government". Things like the crimes of the colonial era; the Iraq war; weapons of mass destruction; criminally avaricious banksters; the arms industry; and the insult to democracy that is the House of Lords. We are not fooled. We know another exercise in banal, jingoistic British nationalist flag-waving when we see it. As we say around these parts, "Aye, right!" It's all there. The dishonesty. The strawman arguments. The inconsistencies and contradictions. The disturbing obsession with ethnicity. It's like revisiting one of those tiresome tracts produced by British nationalist commentators during the referendum campaign. A campaign which those same British nationalist commentators insist is over and should be moved on from, whilst being curiously unable to let go of their own role as anti-independence propagandists. Where does Torrance get the idea that independence campaigners described the UK in such terms? Not from anything that was actually said and that he is able to quote. Not a bit of it! The idea is entirely a figment of Torrance's fevered imagination born of his own highly prejudiced interpretation of Yes campaign rhetoric. The conclusion that one inevitably draws from this pathetically contrived effort at straw man building is that Torrance is totally bereft of a way of refuting the argument that the UK is broken and so must resort to pretending that "broken" is synonymous with "failed state". It's dishonest. And it's very, very silly. The obsession with ethnicity which David torrance shares with his fellow British nationalists is revealed in the remark about one of the latest British politicians to be accused of corruption being "a Scot". Most of those who are regularly referred to by Torrance and his ilk as "narrow nationalists" will be wondering what the hell Rifkind's being "a Scot" has to do with anything. But Torrance seems to suppose, for no reason he troubles to explain, that the man's ancestry is highly relevant. Note again how Torrance name-drops another academic at this point, impertinently presuming to put words in the mouth of respected lecturer James McEnaney. How would Torrance know what James McEnaney would make of Rifkind's dubious escapades? Torrance next has recourse to some classic "whitabootery" with the woefully ill-thought argument that "the phenomena Nationalists [sic] cite as proof of Britain's broken-ness exist in Scotland too". At which point it is impossible to resist the use of a vernacular expression denoting reaction to a statement so stunningly stupid as to challenge the standard lexicon of the English language. In an evidently totally unconsidered attempt to counter the "broken Britain" hypothesis Torrance manages both to acknowledge the broken-ness and to provide a statement of how this broken-ness impacts on Scotland which is as succinct as any that an advocate of independence might hope to deploy. It all then descends into confusion as Torrance manages to reference two arguments - from Will Hutton and Peter Hain - which pretty clearly contradict his own argument. Yeah! I don't get it either. "Marry holistic structural reform of the UK to a bold policy agenda and you might end up with something both electorally attractive and worth fighting for." "Combine another round of cobbled-together constitutional tinkering with a raft of empty promises in the hope that it will fool the voters one more time." For the gift of that amusing denouement at least, I thank David Torrance.